Libraries keep unpublished manuscripts, letters and other historical documents in archives. Unpublished works in archives are protected by U.S. copyright law, and authors maintain exclusive rights to control the duplication and distribution of their work. Although authors may transfer their copyright ownership to others or give a library ownership of the work itself, even if it is the only existing copy, this does not by itself transfer copyright in the work. The 1976 Copyright Act defines publication as the act of copying a fixed work and distributing it to others. Copyright protection begins when a work is first fixed in permanent form. For literary works, words typed and saved on a computer or written on a piece of paper are considered “fixed” and entitled to copyright protection. Before the 1976 act took effect, works were not protected by copyright until they were published. However, the 1976 act provides that unpublished works created before 1978 are entitled to the same protection as those created afterward. Many libraries have archives of unpublished works, including manuscripts and letters, which are made available to researchers. The library does not hold the copyright to these materials merely because the copies are owned by the library, even if the archives’ copy is the only existing copy of the work. The copyright in these works remains with the author or heirs of the author, and protects the work for the lifetime of the author plus 70 years after the author’s death. The U.S. Copyright Act provides specific exemptions that allow librarians to copy works in the library’s collection without first obtaining permission from the works’ copyright holders. To qualify for the exception, the library must be open to the general public. If particular archives are restricted, they must still be open to researchers. This exception allows libraries to make up to three copies of unpublished works for preservation purposes, to replace damaged copies, or to share with other libraries or at a user’s request. Each copy must include a notice of copyright. The library may charge a fee to recover the actual cost of copying, but may not make a profit from the copying. The doctrine of fair use allows the copying of copyrighted works in limited situations. While not every educational use is considered fair use, copying or quoting small amounts of copyrighted material, particularly for the purpose of historical research or criticism, may be considered fair use. Courts are more protective of unpublished work than of published work, however, reasoning that authors should have the right to control the first publication of their work. A copyright provides a legal monopoly on an original work of authorship, allowing the copyright holder to sue anyone who uses his work without authorization. Copyright protection applies to any work of art, including movies. 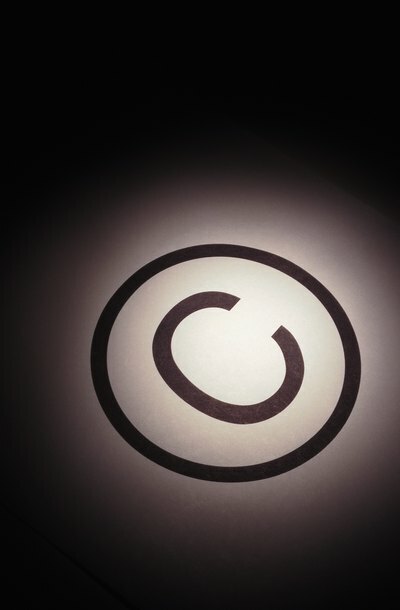 Copyright law is governed primarily by the U.S. Copyright Law; with a few exceptions, the law prohibits state governments from legislating in this area. International copyright protection is available under several international treaties. A copyright is a bundle of rights that includes a legal monopoly on the right to sell a particular work of authorship. If you wish to sell material copyrighted by someone else, or to sell a work that incorporates such material, you might be able to rely on one of two strategies: either take advantage of exceptions to copyright protection or obtain permission from the copyright holder.